With Jon Stewart set to leave The Daily Show in a matter of months, the show has already started paying tribute to its longtime host. 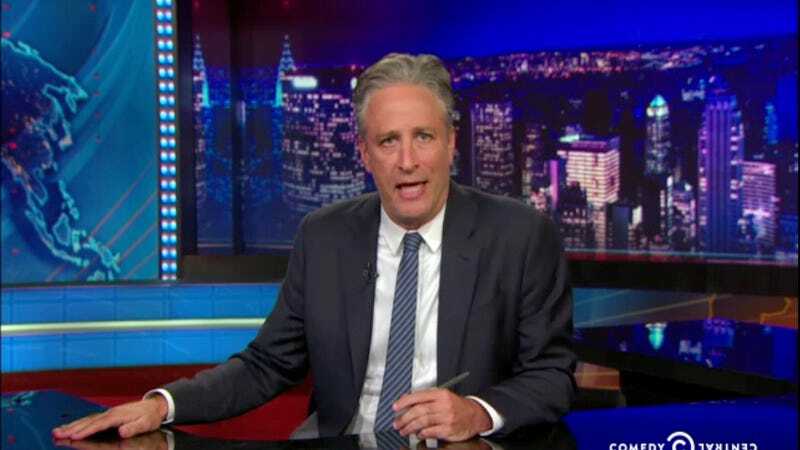 And while funny montages are nice, last night Stewart showed why we’ll really miss him in an emotional response to the murder of nine people at a prayer meeting at the Emanuel African Methodist Episcopal Church in Charleston, South Carolina Wednesday night. “I have one job and it’s a pretty simple job. I come in in the morning and we look at the news and we write some jokes about it,“ Stewart began, leading the audience to believe that they were in for a normal Daily Show segment, maybe about how easy it is to write jokes about Donald Trump or something. But then the mood changed as Stewart brought up the massacre in South Carolina; the shooting, Stewart said, simply left him unable to do his job. He was all out of jokes. Stewart’s full monologue is below.